Ifield completed a crushing seven-wicket win over Lindfield on the last day of the season resulting in a third-place finish in the table but narrowly missing out on promotion to the Premier league. Lindfield skipper Simon Shivnarain won the toss and decided to bat first knowing that they needed points to avoid relegation but it was Ifield who struck first when a Daniel Groves delivery found the edge of Shivnarain’s bat and skipper Jack Groves took a smart low catch behind the stumps to leave the visitors at 18 for 1. Opener Wilson Shane-Yelverton and overseas batsman Tem Hodson took the score to 50 before a flurry of wickets saw Lindfield collapse to 50 for 4 with Salunkhe and Parekh amongst the wickets. Ifield knew that a big win and a favourable combination of results elsewhere in the division could still mean a promotion place and they were therefore in no mood to ease up and wickets continued to fall with only Alex Borley putting up any meaningful resistance. Salunkhe picked up six wickets and Parekh three as Lindfield’s innings completely fell apart and they were all out for just 88 with Borley finishing 26 not out. Ifield started their reply knowing that bad weather was on its way meaning they couldn’t afford to take too long to knock off the runs and an opening stand of 32 between Dan Smith and Joe Cooke settled any early concerns. 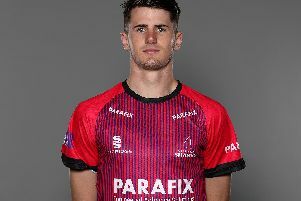 Smith got a good delivery from Pearce and was caught behind by Chamberlain for 16 and then Cooke followed for 14 when trapped LBW to the same bowler but at 55 for 2 Ifield were comfortably in control. Rain started falling but Mike Norris accelerated nicely and despite being caught in the deep for 37 victory was just about assured and it was down to Ed Sykes and Dinesh Salunkhe to get Ifield over the line with Salunke hitting the winnings run with a six over mid-wicket. Results elsewhere didn’t quite work out and Ifield finished the season just outside the promotion places but a third-place finish was a great achievement. Lindfield avoided relegation by just one point at the expense of Crawley Eagles.